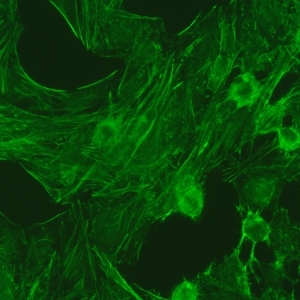 Description This pattern is characterized by decorated cytoskeletal fibers, sometimes with small, discontinuous granular deposits. 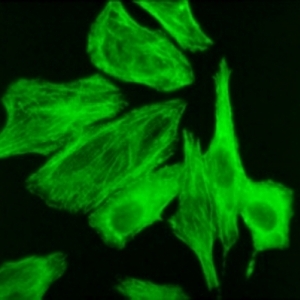 Typical staining show striated actin cables spanning the long axis of the cells. e.g. 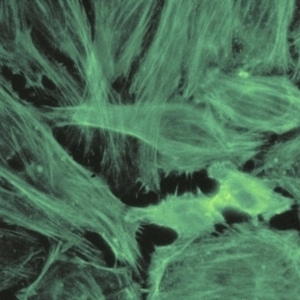 anti-actin, anti-non-muscle myosin.